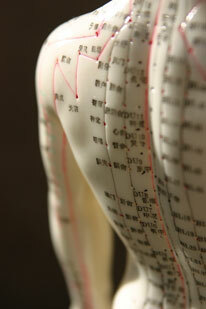 Herbs Plus, Chinese Medicine and Acupuncture. Tuina Massage. Chinese Tuina massage is different from other massage techniques concentrating on regulating the Yin–Yang balance by getting rid of bad Qi and strengthening energy Qi (the immune system) through a series of sophisticated massage techniques using selective pressure points and energy channels. It helps to relax tired and tense muscles, lower blood pressure, reduce back pain and treat most skeletal problems as well as stimulating the blood and lymphatic circulation. Tuina massage is also used for beauty therapy in conjunction with a herbal facial treatment.